Johnny originally hails from the Windy City of Chicago, Illinois, whose namesake stems not from the winds of the Great Lake Michigan, but rather the city’s long and continuing history of corrupt, arrogant, blowhard politicians. With a family steeped in music, Johnny’s mother Susan “Rusty” Walker worked as both a lead singer and songwriter throughout the 1960’s and 70’s on records with Count Basie Orchestra, Ike and Tina Turner, Jerry Lee Lewis, the band Chicago, and Rufus. As such, Johnny vividly remembers his introduction to the art form via copious amounts of the aforementioned as well as the Beatles, and Elvis Presley records playing throughout the family home. Her influence in the entertainment business was a major factor in motivating Johnny towards the art of music and performing in front of a crowd. During Johnny’s time at his local government high school, he honed his illustration and drawing abilities, leading to him establishing his own comic book company, “John Boy Comics.” This exposure to the independence and joy of entrepreneurship gave him his first taste of his own American Dream. Following graduation from high school, Johnny enlisted in the military and found himself stationed in in South Korea, the Philippines, and various locations within the United States. By the age of 24, Johnny had climbed the ranks to be placed in charge of six men and their families. His desire to succeed in Uncle Sam’s military was the catalyst for him to become a Warrant Officer, and eventually pilot helicopters as an OH-58 helicopter pilot in the 4/6 Air Cavalry. Upon exiting the military with an Honorable Discharge, Johnny turned his attention full bore towards his musical ambitions. His personal motivation coupled along with a wide variety of influences including rockabilly, blues, jazz, and western swing provided all the fuel needed to form “The Hot Roddin’ Romeos.” His deep passion for music, conceptual thinking, high energy, dynamic showmanship, and his creative song and lyric writing, has placed Johnny in the driver’s seat. His role as lead singer of “The Hot Roddin’ Romeos” in conjunction with his sense of patriotism, led him to create “The Johnny Rocket Launch Pad” radio show, thus affording his unique abilities to rock the catbird seat like a boss, passionately involved in both music and the promotion of Liberty. 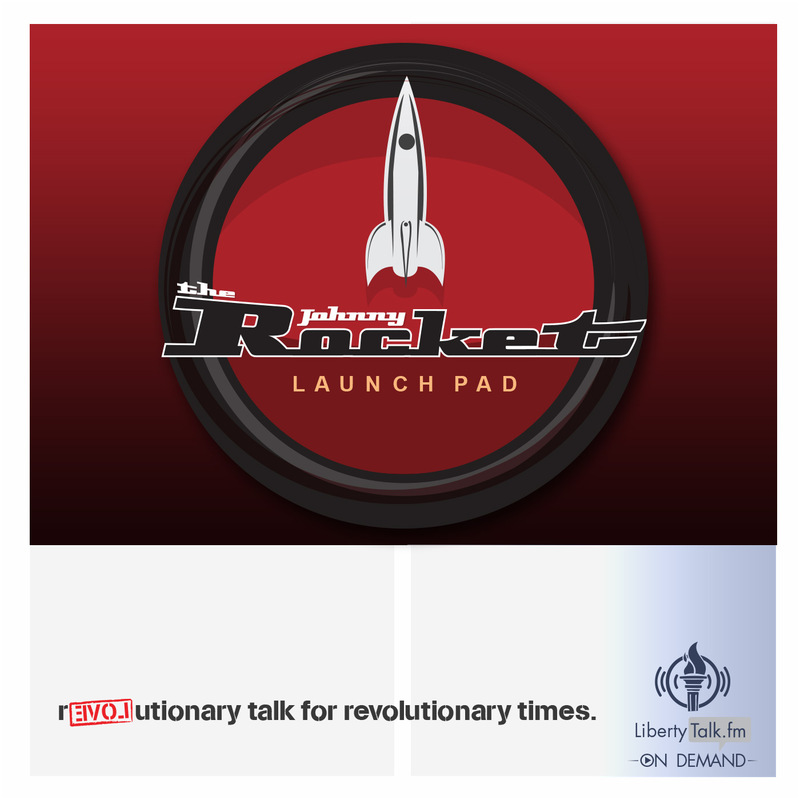 Johnny Rocket Launch Pad broadcasts from Seattle with a Liberty driven conservative view amid the liberal bastion of the Great Northwest’s Emerald City. 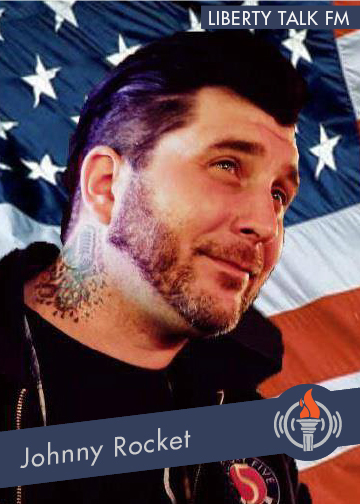 Johnny and co-founder Heather Nixon team up with his long-term audio producer Curt Nelson (Speed of Sound), to tackle many controversial topics. The JRLP is bringing the party to the Libertarian Party! Be advised this is a adult show with strong language, not intended for a younger audience. 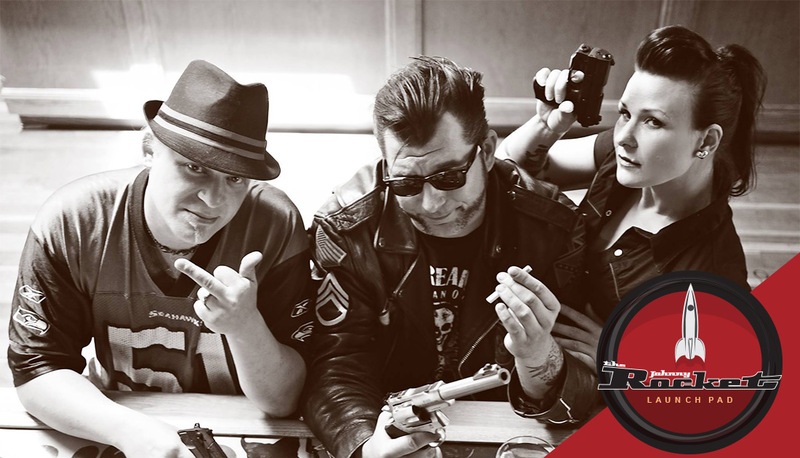 From Left-to-right: Curt Nelson, Johnny Rocket, and Heather “The Voice of Reason” Nixon are The Johnny Rocket Launch Pad crew. 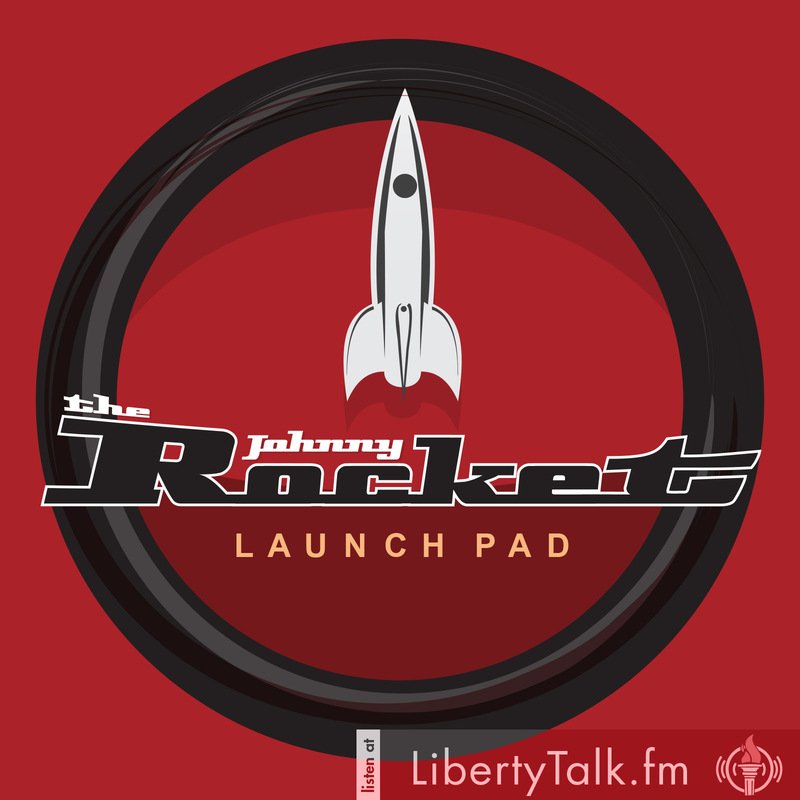 Listen, subscribe, share, or download the five most recent broadcasts of The Johnny Rocket Launch Pad radio show. Each show has been edited to remove news and non-partner commercials for your listening pleasure. The Johnny Rocket Launch Pad radio show airs Saturday and Sunday from 7pm to 9pm Eastern.